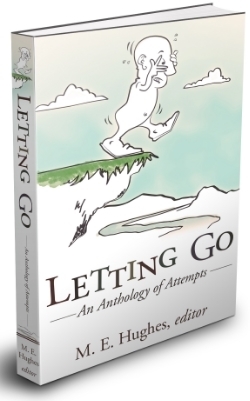 I authored a chapter in this just-released book, Letting Go: An Anthology of Attempts, which is now available for print and e-book purchase via Amazon. In Letting Go, 30 authors from 7 countries write about their attempts to move beyond hindrances that include grief, abusive relationships, and, in my case, haunting memories of the farm my family once owned on the outskirts of San Antonio. For me, places house memories, opportunities, and the loved ones I've lost whom I imagine still inhabit the places where we came together. Letting go of the farm, therefore, meant accepting a suite of losses-- the passing of my grandparents, the loss of childhood innocence, and the loss of the land itself, which later morphed into a jam-packed residential development. In many ways, the experiences I had on the farm, along with accepting what it later became, shaped who I am. They certainly influenced my professional aspirations and are directly related to my passion for conserving nature, wildlife, and special places. “For the third night in a row, I awake in a tangled mess of sweat and sheets, my sea-blue bedding clutching me like Saran wrap. Flashes of the farm, which my grandparents once owned on the outskirts of San Antonio, return like lightning bolts, but I know its rolling hills are now home to mcmansions and other superfluous, man-made things.